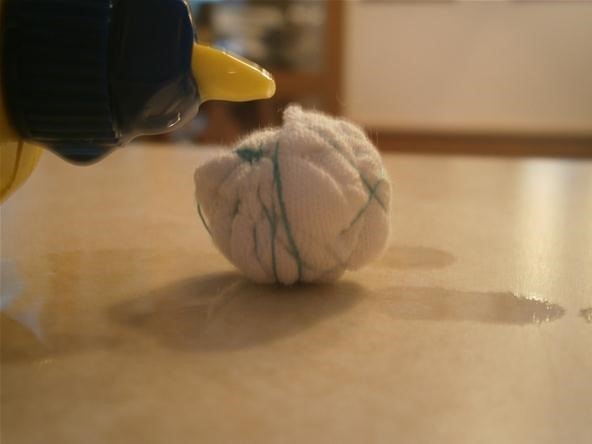 Scrunch up your cotton fabric into a tight ball. This is essentially going to be a wick for our lighter fluid. The cotton burns at a higher temperature than the lighter fluid, so it will not catch on fire while the fluid burns. 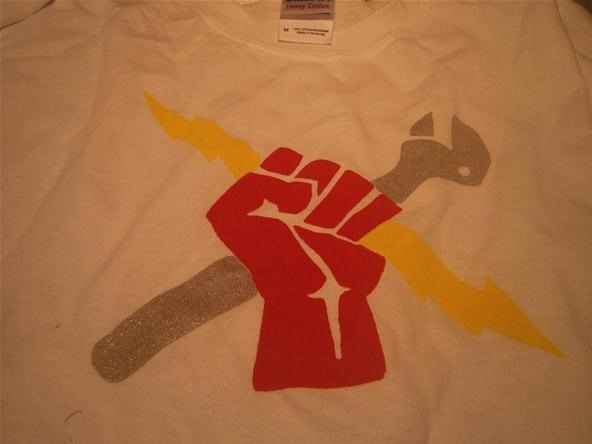 I made this shirt for my website, but the print ended up off center. 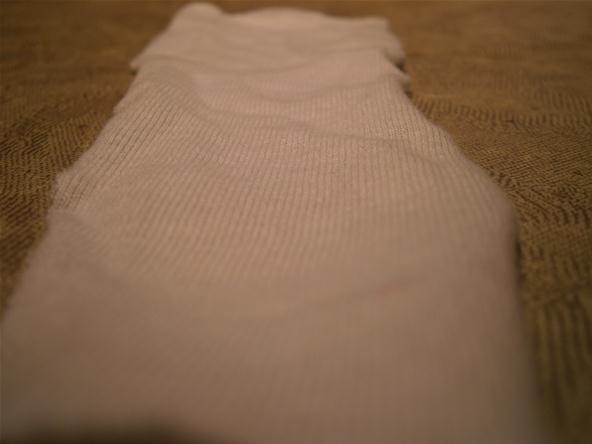 Cut a strip of your cotton cloth about 6 inches long. Now, scrunch it up into a ball. 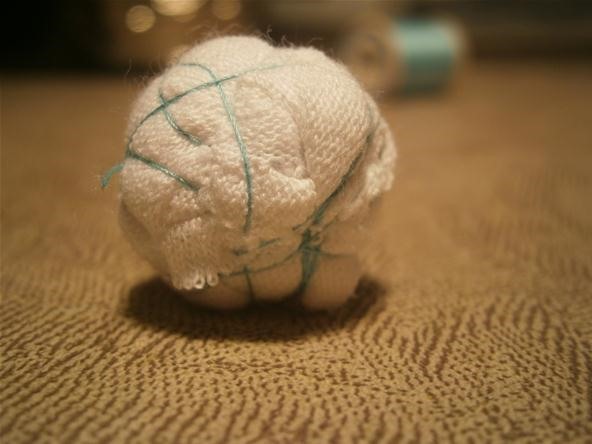 To bind your ball of cotton fabric, pierce the center of the ball with your needle and thread. 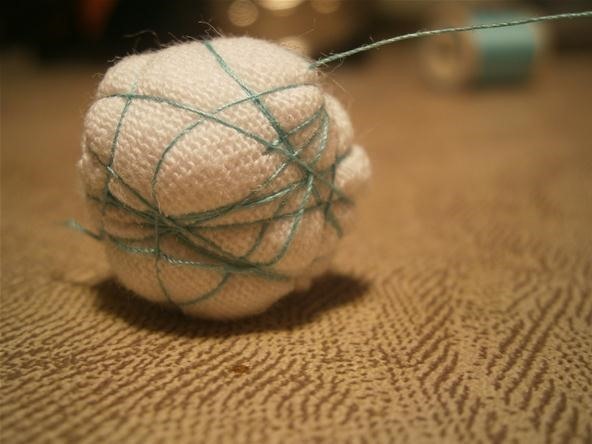 Continue wrapping and piercing the ball until it is as tight as possible. 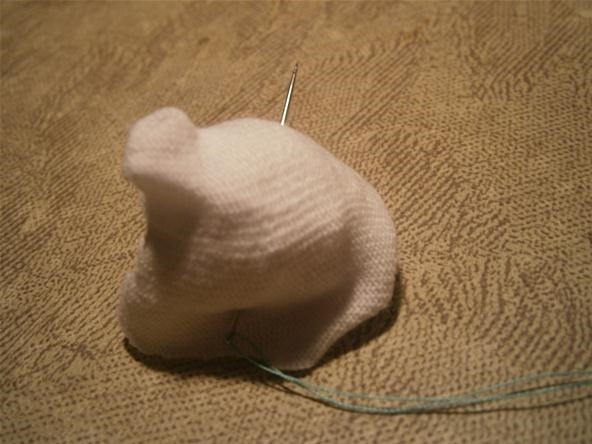 To finish, push the needle through one last time and cut the thread where it exits the opposite side of the ball of cotton. Remember to cut off the extra thread. Pour lighter fluid on your bound ball of cotton. You do not need to soak the ball in a bath of lighter fluid. A few squirts will do the trick. I got some on the kitchen counter. Remember to clean up after each step. Be sure your lighter fluid is explicitly labelled as containing naphtha. The Ronsonol brand lighter fluid commonly recommended for this experiment recently changed their formula to exclude naphtha. I had to order some special online. Light your cotton ball and watch it burn. Try it on a nonflammable surface first. Once you're used to how the flame behaves, quench the fire with your hand or a wet cloth. Hold the ball in your hand and light it again. It should be cool enough to hold in your palm. Depending on personal preference, you may need to pass it slowly between your hands to stay totally comfortable. The combustible fluid in the mixture burns at around 43-degrees Fahrenheit. This is too low to burn the cotton, but the orange tip of the flame can burn your hand! Avoid putting your hand directly over the flame. This project is super easy and provides hours of entertainment. We want to see what creative uses you have for these fun fireballs! Post up your videos and pictures on the corkboard. If you need help, don't hesitate to to post in the forum or message me personally. Enjoy your super powers, mad scientists!